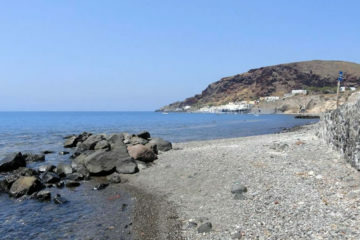 Pori is a small and quiet beach located on the northeast part of Santorini on the lower road to Oia, south of Koloumpos beach. In the area around the beach you will see vineyards, windmills, traditional restaurants and a small harbour with fishing boats. 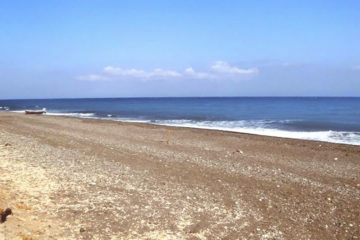 The beach is not organised and it is visited mainly by the locals. 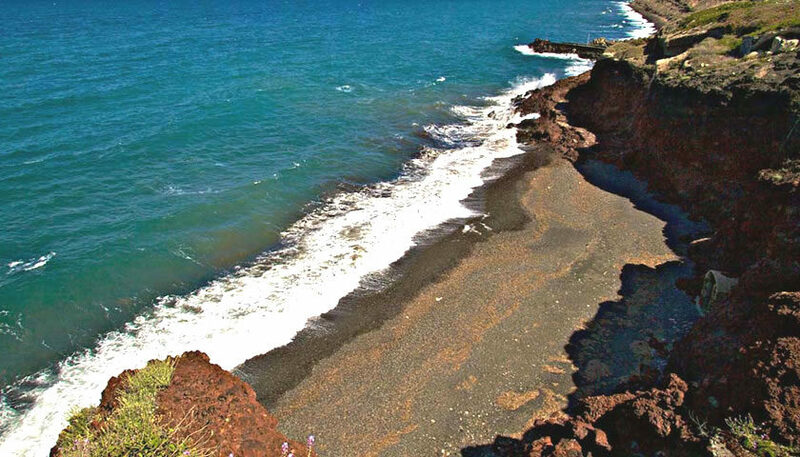 It has black sand, it is surrounded by red rocks and the waters are crystal clear. You will find fish taverns, one on the beach and another just above with views to the bay. 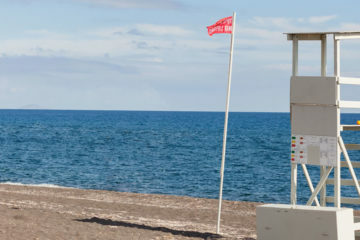 It is located about 8km from Oia and 9km from Fira. You can access it by car and parking is easy. Agia Paraskevi beach is located at the east side of the island between Monolithos and Kamari, close to the airport….